At the Ridley-Tree Cancer Center, we aim to empower anyone touched by cancer with the information they need to become well-informed partners in their healthcare. The Cancer Resource Library's InfoGuides are customized online research guides featuring library resources, links to helpful websites, and information about supportive care programs at the Ridley-Tree Cancer Center. All of the content in InfoGuides has been reviewed by the Cancer Librarians of the Medical Library Association and/or by the librarian at the Ridley-Tree Cancer Center. Our selection criteria include: credibility, content, currency, authorship, purpose, and audience. The Ridley-Tree Cancer Center created InfoGuides as a source of information and research, not a replacement for medical care. Please consult your healthcare provider to review any information gathered from InfoGuides. This quick, reliable reference helps decipher confusing and intimidating medical jargon and explains the most current procedures and treatment options. Among these are targeted therapies involving drugs that limit their focus to the cancer cells, the use of laparoscopic surgery, and latest approaches in radiation therapy, chemotherapy drugs, and immunotherapy. With an easy-to-understand, question-and-answer format, this book guides patients through the important decisions they'll need to make, from diagnosis through treatment. It helps women with breast cancer and their caregivers know what to expect, what to do, and how to get through what can be an overwhelming, life-changing experience. Also included are tips for choosing the right doctor, understanding treatment choices, dealing with the effects of treatment, seeking support groups, and much more. Drawing from years of patient experience, extensive scientific studies and the current product landscape, this guide provides everything you need to know about cannabidiol (CBD). The authors use their years of medical and writing experience to separate the CBD facts from fiction. Finding accurate information on the health benefits of CBD can be difficult, but this easy-to-understand book breaks down all the studies, rumors and medical information. Featuring 102 new dishes, What to Eat During Cancer Treatment offers evidence-based research and clinical information about the most common eating-related side effects of cancer treatment and the foods to eat when these side effects occur. Throughout the book are beautiful, full-color photographs, along with tips for caregivers, food safety basics, strategies for avoiding excess weight gain, ways to deal with vitamin deficiencies, and more. The evidence is in: you can reduce cancer risk and support treatment by focusing on six key areas of health and wellness. Cohen and Alison Jefferies make an informed case that building social and emotional support; manag­ing stress; improving sleep, exercise, and diet; and minimizing exposure to environmental toxins work together to promote an optimal environment for health and well-being. Includes 500 recipes inspired by the renowned flavors and heart healthy diet of the Mediterranean. Uses the guidelines of the Mediterranean Diet Pyramid to create a variety of tapas, soups, salads, grains, pasta, flat breads, beans, vegetables, seafood, poultry, meat, eggs, fruits, and sweets. Includes information on cancer treatments including chemotherapy, radiation therapy, immunotherapy, surgery, target cancer therapy and stem cell (bone marrow) transplants; clinical trials; genetics. Includes information on herbs and dietary supplements; medical marijuana; mind and body practices; evaluating health information; safety and scams. Focuses on coping with the emotional aspects of living with cancer. Includes information on advance care planning, hospice care, and information for caregivers. Information on coping with the side effects of cancer and cancer treatment such as fatigue, pain, appetite changes, and skin changes. 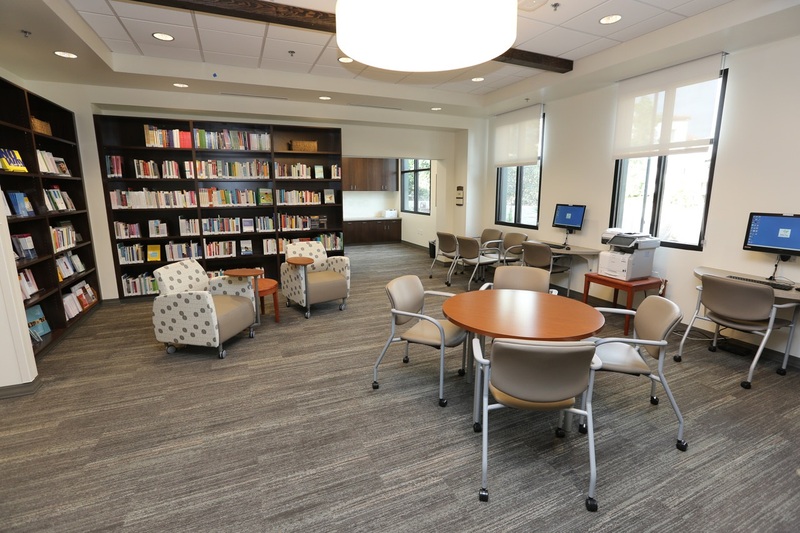 The Cancer Resource Library offers a comfortable place where patients and families can find current, comprehensive information about all aspects of cancer. The Library is open to all and services are offered at no charge. InfoGuides – Online guides are available for a variety of diagnoses and topics.